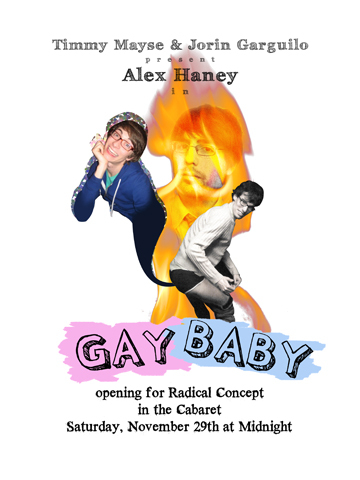 A show poster from several months ago — folks had been talking about how a young improvisor, Alex Haney, looked like a hypothetical baby made by Timmy Mayse and myself. So, the three of us did a show. It was a lot of fun. This entry was posted on Wednesday, July 29th, 2009 at 10:38 am	and is filed under Gallery. You can follow any responses to this entry through the RSS 2.0 feed. You can leave a response, or trackback from your own site.